Dr. John C. Williams, Jr., 85, of Auburn passed away on June 3, 2012 at Columbus Hospice in Columbus, Ga. A private memorial service will be held at a later date. Dr. Williams was born on April 9, 1927, in Nash County, N.C. He had been a resident of Auburn since 1970. He was a US Navy veteran serving during WWII. He received his master of science from North Carolina State University and Doctor of Philosophy in statistical genetics/plant breeding from Iowa State University. Dr. Williams was retired from Auburn University and was designated Professor Emeritus of Discrete and Statistical Sciences in 1994. He loved spending time with his family, reading, watching Auburn football and traveling. He is survived by his wife of almost 63 years, Mary C. Williams; daughter, Valerie Ward; son, Kevin Williams (Cindy); grandchildren, Krystle Chavez (Joe), John Williams (Nikki), Charlotte Newsome, Kathleen Williams and Jaret Williams; great grandchildren, Jordan, Makayla and Donovan Chavez, and Chloe Williams. He is also survived by his sister, JoAnn McThenia, and brother, Derrell Williams (Ruth). A memorial service for Henry S. Thompson, Jr. 83, of Opelika was held at 11 a.m. on June 6, at Jeffcoat-Trant Chapel. Reverends Dan Pezet and Hank Demous officiated. Visitation was held on Wednesday from 10 a.m. until 11 a.m. prior to the service at Jeffcoat-Trant Funeral Home. Thompson was born on June 2, 1929, in Arkansas. He passed away at his home on June 3, 2012. He had been a resident of Opelika since 1995, following his move from Memphis, Tenn. He and Mrs. Thompson attended Wesley Memorial United Methodist Church. Mr. Thompson was a loving husband, father and grandfather. He is survived by his wife Dorothy Young Thompson; daughters, Nancy Ward and Cathy Ridley; sons, Donald Sands and Jimmy Sands; eight granddaughters; and 10 great grandchildren. In lieu of flowers, the family suggests memorial contributions to Hospice Advantage or Wesley United Methodist Church. 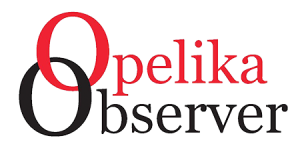 Maylon Kilcrease Gorham, of Opelika, was born in Pine Level of Coffee County, on April 1, 1925, and died at East Alabama Medical Center on June 1, 2012 in Opelika. She was 87 years old. She was the daughter of the late Mr. and Mrs. Washington Philip Kilcrease. Gorham was a seamstress and EAMC Auxiliary – Inactive Member “Pink Lady.” She took great pride in making the Christmas stockings that new born babies went home in from the hospital during the holiday season, and loved to sew for her grandchildren making them many types of dresses for all types of events. She also loved to cook. Gorham was preceded in death by her husband, Jack Gorham; six brothers; three sisters; and great granddaughter, Vivian Leigh Matchen. She is survived by her children, son, Jack “Jackie” Gorham, son, Phil Gorham and his wife Teresa and daughter, Joy Smith; five grandchildren; and 10 great grandchildren. A funeral service was held on June 4, 2012, at 2 p.m. in the Chapel at Fredericks Funeral Home. Rev. Richard Moss and Rev. Will Sexton officiated. Interment followed in Garden Hills Cemetery. Visitation was held prior to the service from 1 p.m. until the funeral hour. Gloria H. Long was born on Feb. 16, 1945, in Lee County and passed away on June 1, 2012, at Bethany House after a long illness. The daughter of Samuel and Lois Holley, she is survived by her husband of 49 years, Robert W. Long; two sons, Derrick (Cathy) Long of Opelika, Kyle (Tammie) Long of Opelika and one daughter, Stacey (Cliff) Geohagan of Huntsville. She was graced and loved by nine grandchildren, Sara, Reedy, Ross, Cary, Mary, Kate, Addie, Anna and Sam and blessed by one great grandchild, Tucker Reed Long. She is also survived by brother, Billy (Carol) Holley; and sister, Barbara Hamby. After a long career as a hairdresser, she retired and was able to garden and love her grandchildren. Spending time at the beach and with her many, many friends and family brought her great joy. She will be greatly missed. A graveside service was held at Pierce Chapel Church Cemetery in Beauregard at 2 p.m. on June 2, 2012. Pastor Tom Grantham officiated. Col. Douglas William Blalock, of Auburn, was born in Maryland on Oct. 3, 1923, to the late William R. and Sylvia Blalock, and passed away at his home on June 2, 2012. He was preceded in death by his wife of 56 years, Florence O. Blalock and his daughter Susan K. Anderson. Col. Blalock is survived by his daughter, Inez Devlin-Kelly of California; sons, William O. (Cheryl) Blalock of South Carolina; Robert F. Blalock of Florida; John D. Blalock, Sr. of Auburn; son-in-law James H. Anderson of Montgomery; grandchildren, Brian Blalock, Jesse Anderson, Rachael Blalock Thomas, Marjorie Anderson, John Blalock, Jr., Sara Blalock, Stephen Blalock, Anna Anderson, Danielle Devlin, Erin Devlin, Bridget Devlin; and 11 great grandchildren. Lt. Col. Blalock was the only son of Major William R. Blalock and Sylvia Blalock who were married in France after WWI . Doug was born and grew up in Fort Hoyle, Md., and spent much of his youth in France, Sylvia’s home country. Growing up in a military family, he learned to love and respect his country. It is because of that reverence he decided to enlist in WWII following a couple of years studying at Alabama Polytechnic Institute (now known as Auburn University.) A 21-year-old Doug Blalock flew as a turret gunner on a B24 Liberator until the end of the war. After serving his country in WWII, he returned to complete his degree at API and it is there that he met his wife, Flo. After graduation he spent a short time as a chicken farmer and school principal before returning to the Army and serving his country again in the Japan Occupation and then the Korean War. On Aug. 10, 1950, Col. Blalock became a Prisoner of War. For two months he depended on his strength and sheer courage to survive. After escaping from a prison train, he hid in a cornfield until he heard the sound of an army tank approaching. For 30 years Col. Blalock served with honor and dignity and was a true war hero receiving over a dozen medals, including the Silver Star for his extraordinary act of heroism. Col. Blalock retired from the army and moved back to Auburn in 1971. After being the housing authority director for over 20 years, he retired again. This time he decided to spend most of his time fishing, hunting and cheering for the Auburn Tigers. He was a long time member of Big Swamp Conservation club and the Village Conservation club. A funeral service for Douglas Blalock, 88, was held at Frederick’s Funeral Home on June 6, at 11 a.m. Rev. Steve Scoggins officiated. A visitation was held at 9:30 a.m. until the funeral hour. Interment followed at 2:30 p.m. at Heflin City Cemetery. Nathan Shapiro, 87, of Auburn, passed away on June 3, 2012. Spending much of his childhood in Brooklyn, N.Y., Nathan was a decorated Army Air Force Staff Sergeant of World War II, participating in five campaigns as a radio operator and gunner. After earning his Ph.D. at Purdue University, Nathan’s professional career spanned over 20 years as a biology college professor in Massachusetts and Connecticut. He retired as Professor Emeritus. Nathan was a loving husband to Shirley for 60 unforgettable years, value-instilling father; and a warm, tender and humorous grandfather. Nathan enjoyed gardening, reading and golf as well as good food and a nightly dessert shared with Shirley. Nathan was preceded in death by his parents Hyman and Sarah and his brothers Jack and Leo. He is survived by his wife Shirley of Auburn, his sons Jeffrey (Cathy; grandchildren Joseph and Jacob) of Broomall, Pa., and Steve (Barbara; grandchildren Brianna and Hilary). A memorial service will be held today, June 8, 2012 at 4 p.m. at Jeffcoat-Trant Chapel. Rabbi Marshal Klaven is officiating. In lieu of flowers, memorial gifts may be made to Beth Shalom Synagogue and Bethany House. The family would like to give special thanks to Dr. John Abrams and his staff, EAMC (especially Progressive Care), and Bethany House.